Matiatia Grove on Waiheke Island produces one of New Zealand’s leading brands of extra virgin olive oil and lemon-infused oil. Following its inaugural harvest in 1997 Matiatia Grove became one of Waiheke Island’s first olive oil producers. Since then, Matiatia Grove has consistently produced superb quality award-winning extra virgin olive oils. You are able to purchase Matiatia Grove extra virgin olive oil and lemon oil online. 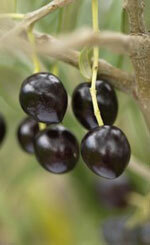 Fresh, healthy and delicious, Matiatia Grove olive oil is entirely natural, just the juice from olives. Our oil not only tastes delectable, it has the benefit of containing high levels of natural anti-oxidants and is a healthy addition to your daily diet. Matiatia Grove extra virgin olive oil is certified as extra virgin and carries the OliveMark. Matiatia Grove lemon oil is made by crushing lemons from our own orchard with the olives, resulting in a delicious oil with a tangy lemon aroma and flavour. Waiheke Island, where Matiatia Grove is located, has ideal olive growing conditions. Waiheke is the second largest island in the Hauraki Gulf and an enjoyable 35-minute ferry ride from Auckland central city. Extra Virgin Olive oil is the tastiest and healthiest of all olive oils. It is entirely natural, containing nothing but the oily juice crushed from olives without using heat or chemical solvents. We received a gold medal for Matiatia Grove Blend in this prestigious competition - another great result. Top New Zealand olive oil.